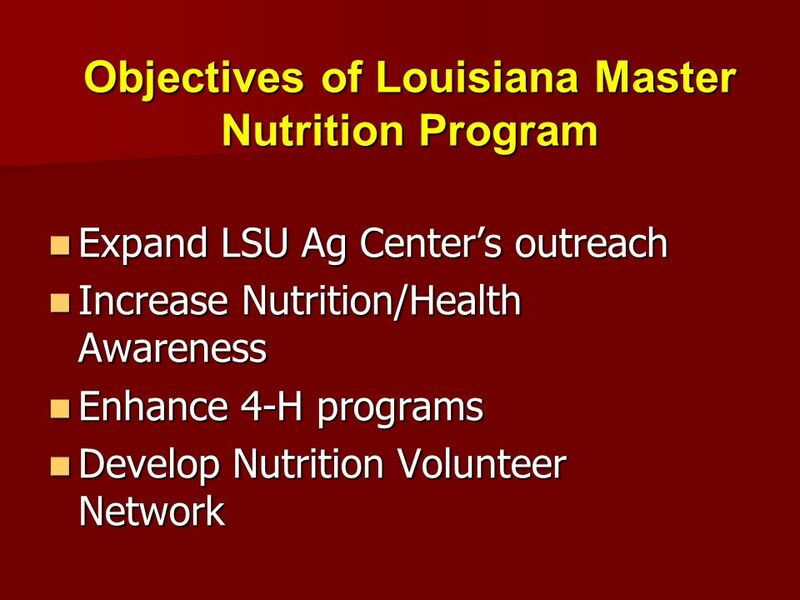 Louisiana Master Nutrition Program Louisiana Master Nutrition Program. 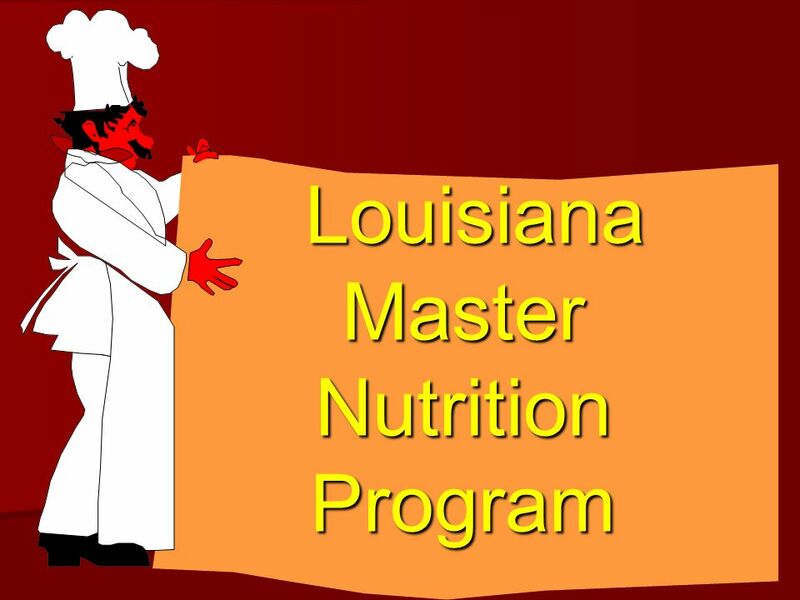 Download ppt "Louisiana Master Nutrition Program Louisiana Master Nutrition Program." Research shows… Obesity – simply…too much body fat Contributors – poor diet, sedentary life Studies Impact on childrens quality of life What are we doing. Foods I Obj Meal Patterns. What is a Meal Pattern? It is a listing of basic foods normally served in a meal. A meal pattern should include all the. Planning A Healthy Diet Chapter 2. 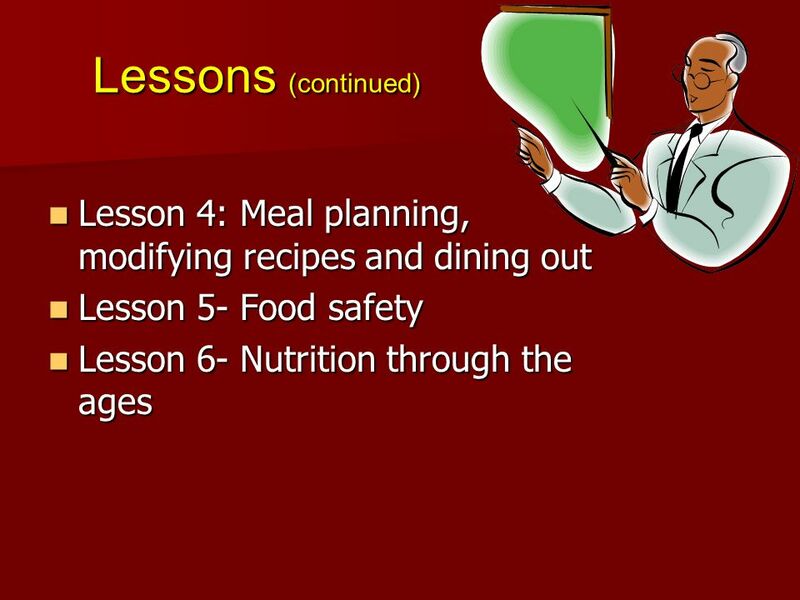 Objectives for Chapter 2 Provide a definition of healthy eating and the principles involved. List the 2005 Dietary. 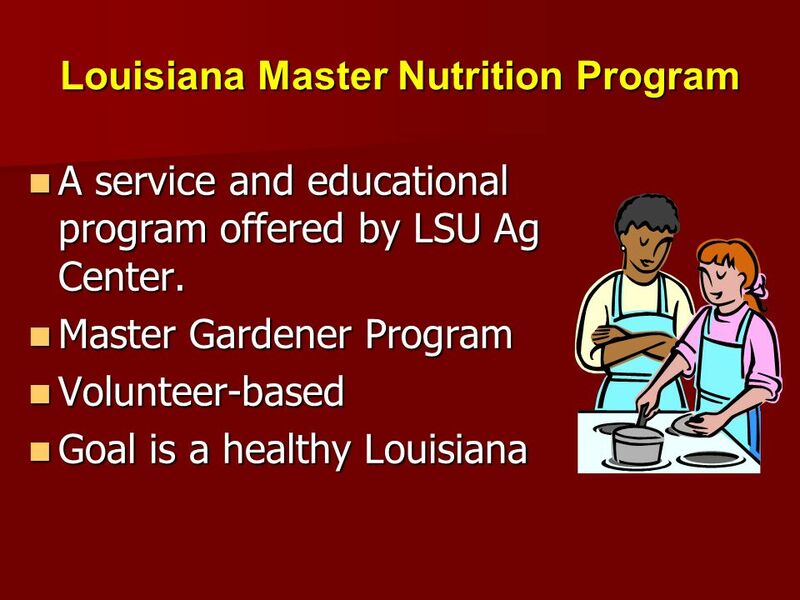 Initial Requirements To become a Master Gardener Volunteer: Turn in a background check form Complete 36 hours of training (i.e. twelve 3-hour sessions. 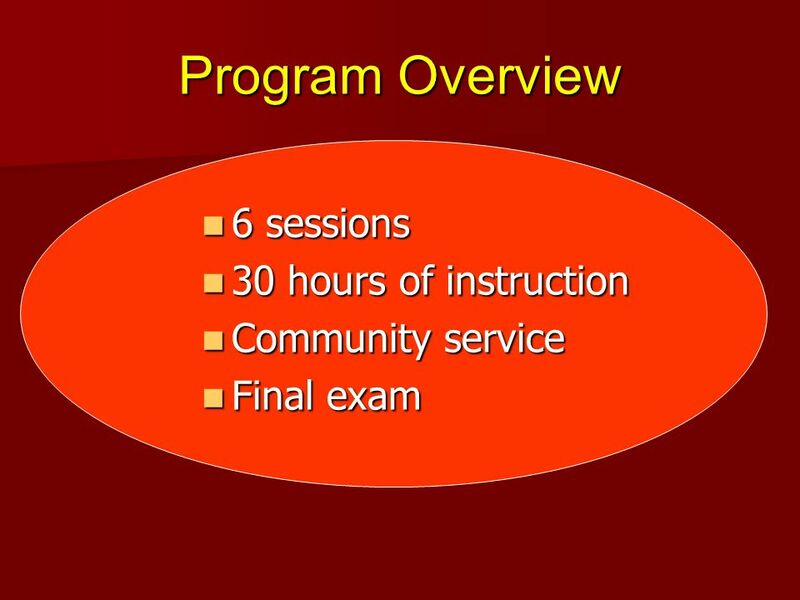 Wisconsin Child Care Summit National Child & Adult Care Food Program (CACFP) Overview. Shaping Change: Dietary Guidelines and MyPlate Cindy Wolff, MPA, PhD, RD Network for a Healthy California – Sierra Cascade Region Annual Face to Face Meeting. HEALTHFUL EATING. QUIZ Look at your notes for a quiz. Basic nutrients. 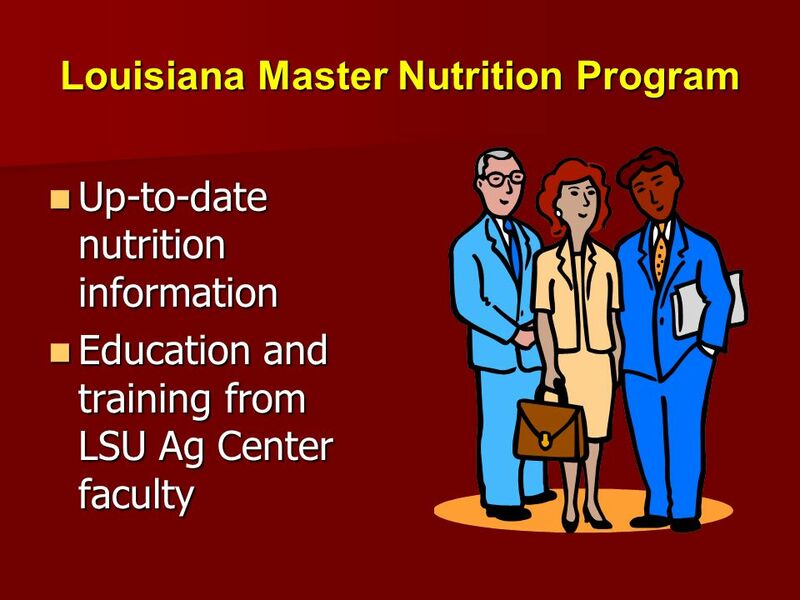 Careers in Nutrition Nutrition Advocate Club Funded by the USDA’s Food Stamp Program, an equal opportunity provider and employer. T HE H EALTH B ENEFITS OF F IBER HTTP :// WWW. PUBLIC. ASU. EDU /~ SCOLONE / INDEX. HTML By Samantha Colone. A Healthy You A Health and Fitness Curriculum for Envision Schools By Doug Gilbert, Claudia Jimenez, Dana Nelson, Junko Tanaka. 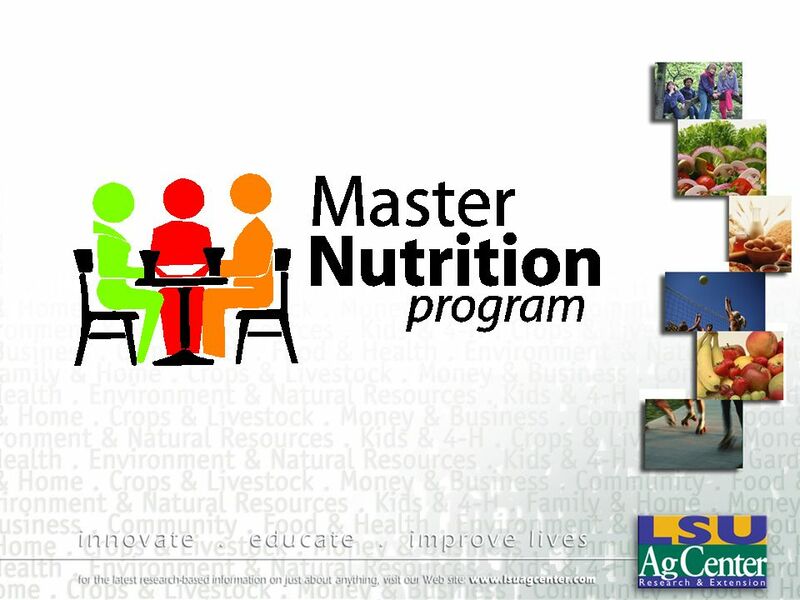 MyPyramid USDA’s New Food Guidance System United States Department of Agriculture Center for Nutrition Policy & Promotion. Creating a Plan for Action: Extension’s In- and Out-of-School Programs Kerry Seymour, MS, RD Western Area Nutrition Specialist. VOCABULARY NOTES Nutrition and Wellness for Life Chapter 4. Why are changes coming to our school lunches? MESSAGES. FUNCTIONAL FOODS Samantha Richards NUTR 243. Overview How to define “functional foods” Common misconceptions Regulation of functional foods Categories. Nutrition Choosing Food Wisely Food Labels & Healthy Weight Management. The New Food Guide Pyramid MyPyramid.gov. 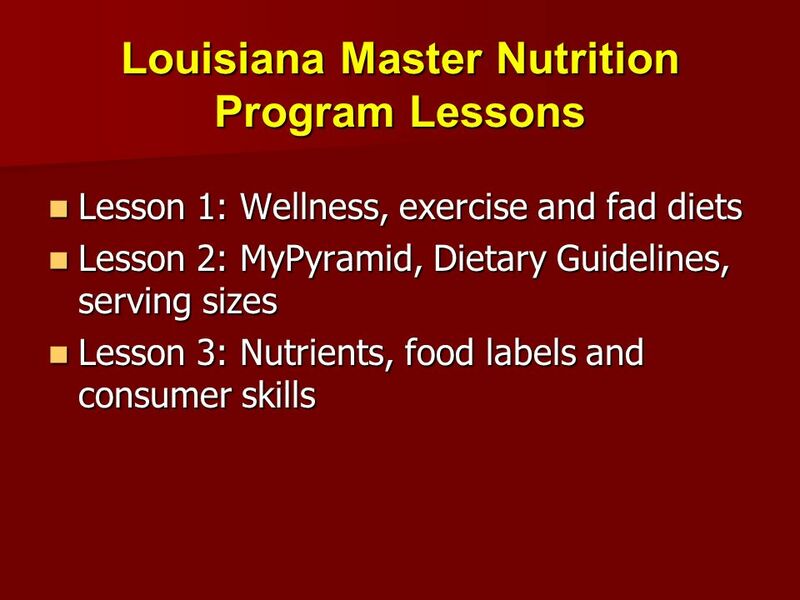 “One size doesn't fit all.” MyPyramid.gov personalizes an eating plan that fits each individual’s lifestyle.